Pottery Barn has nothing on this super clean and classic kitchen. 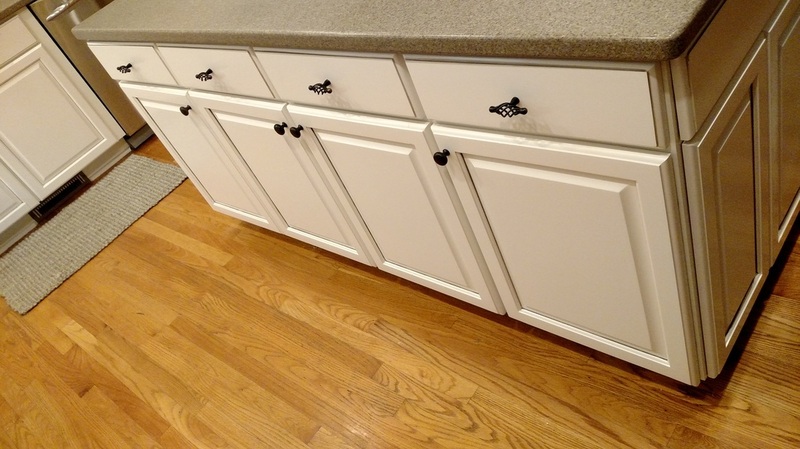 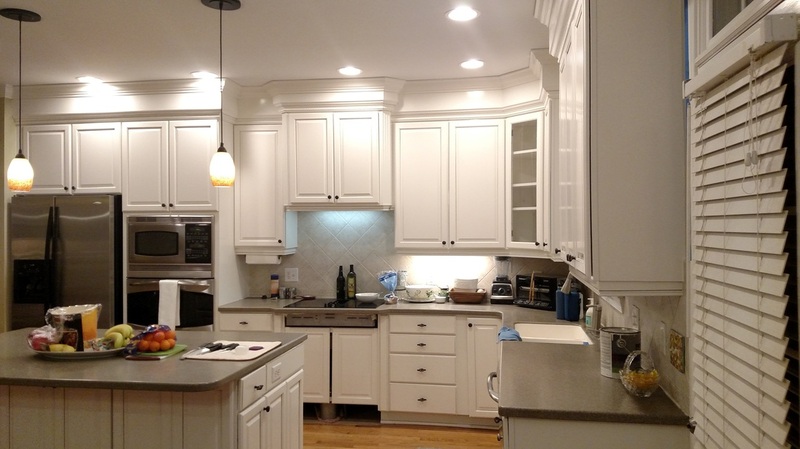 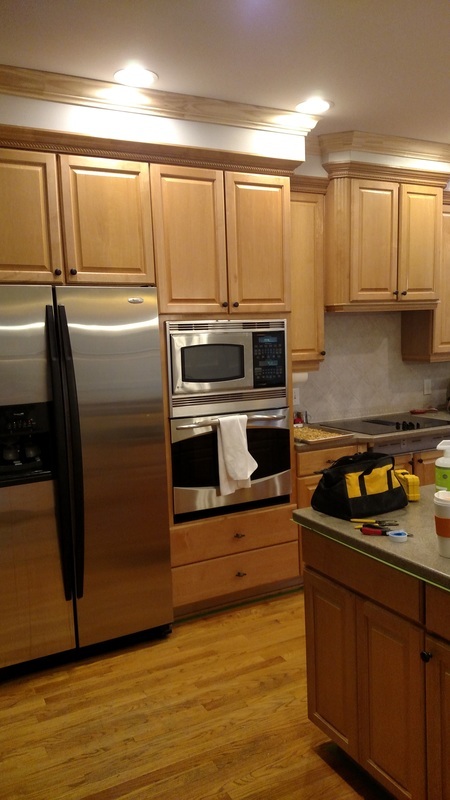 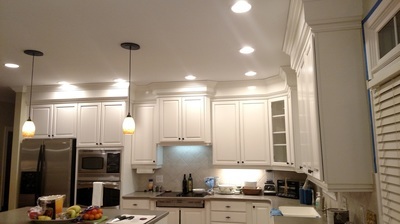 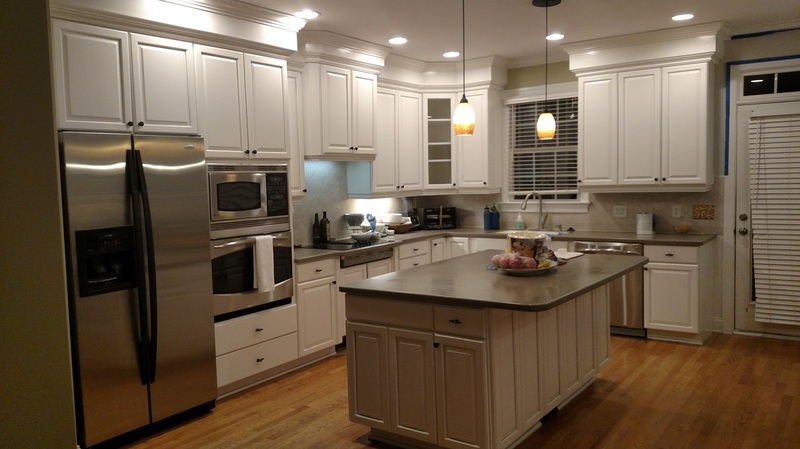 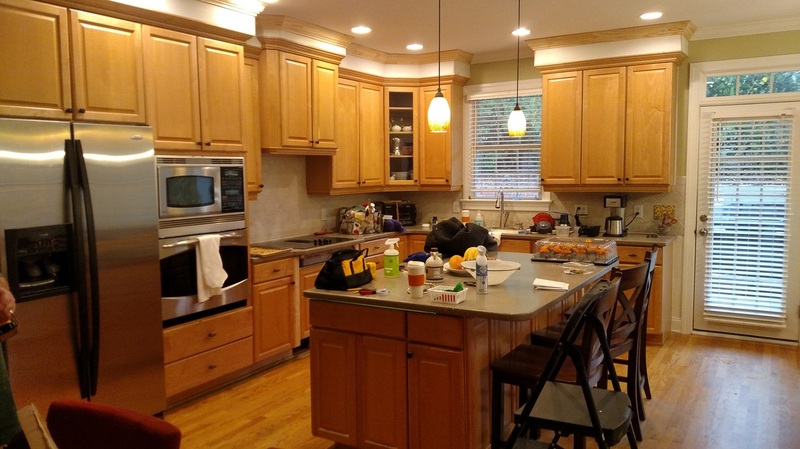 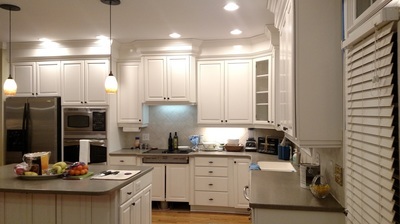 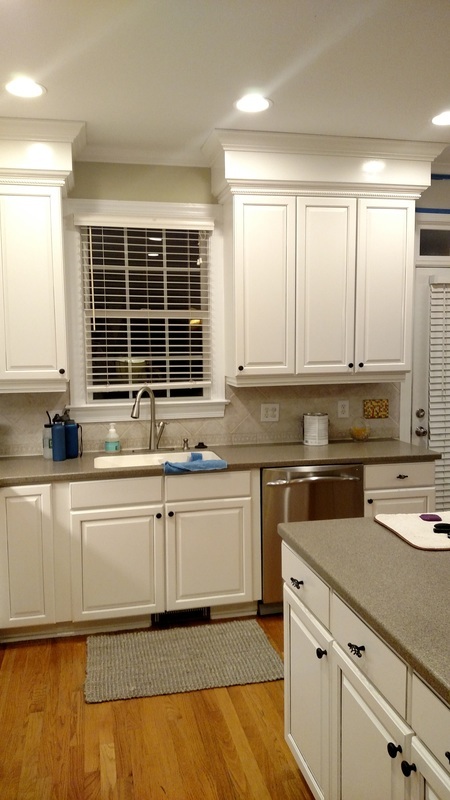 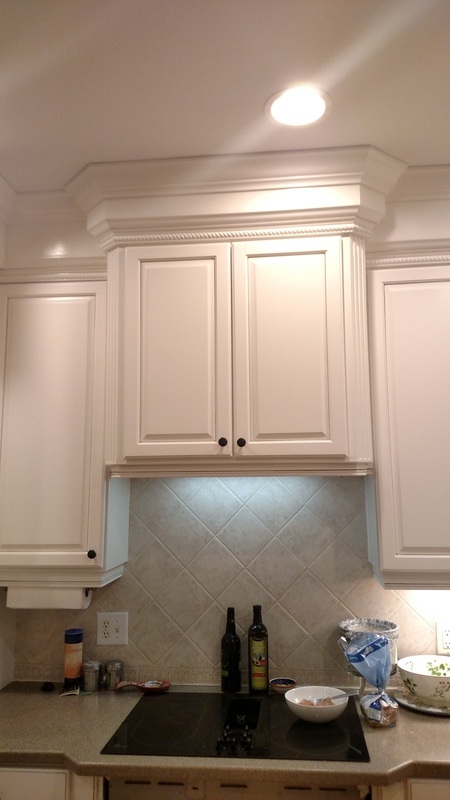 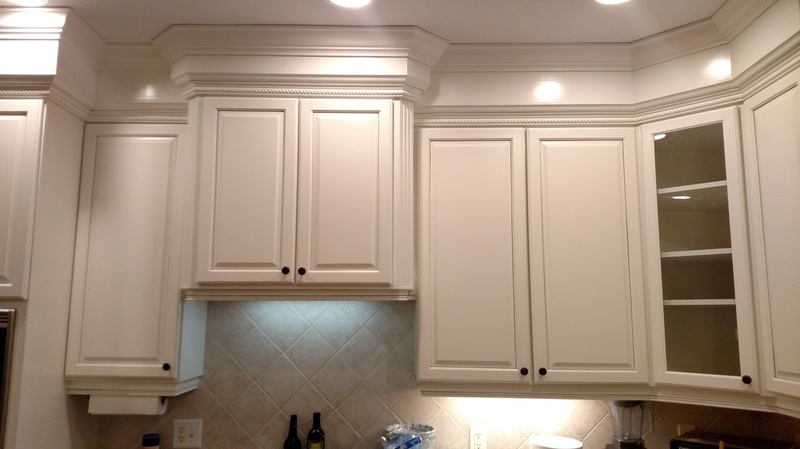 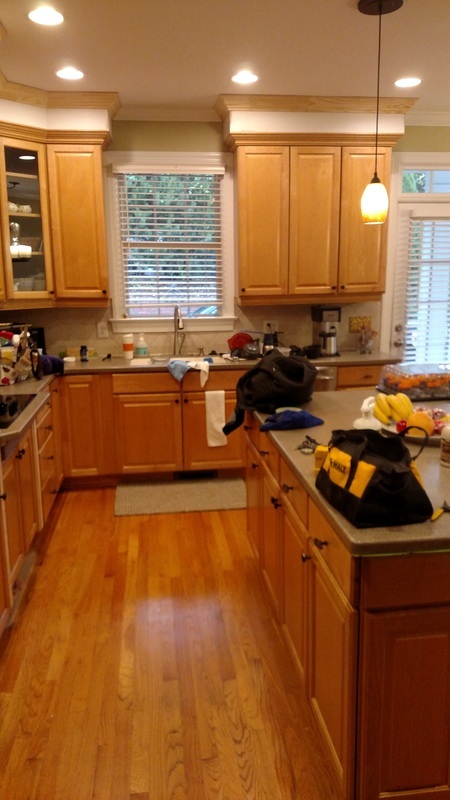 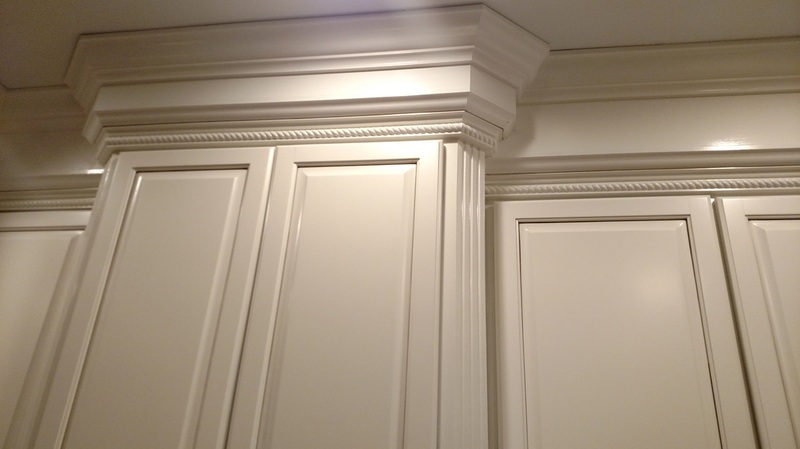 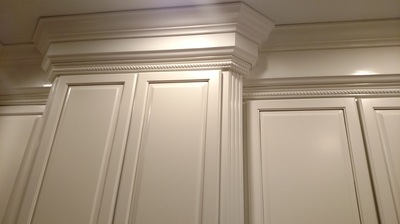 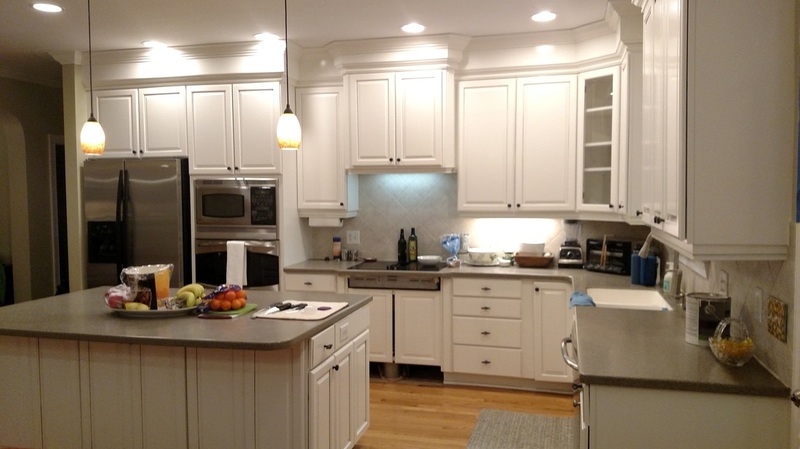 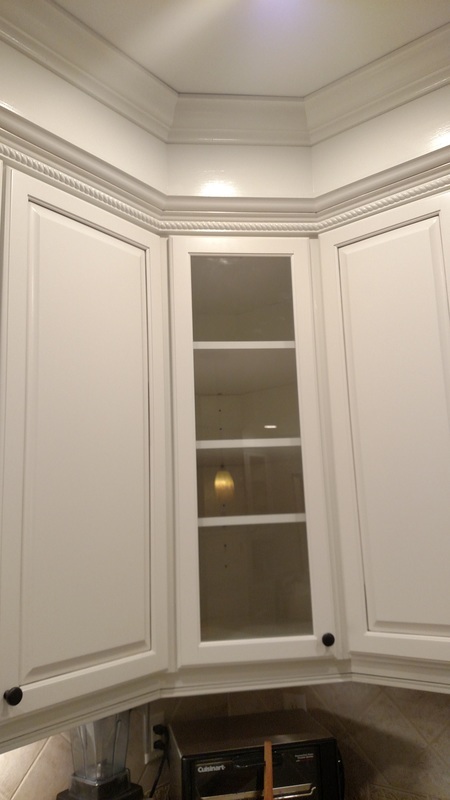 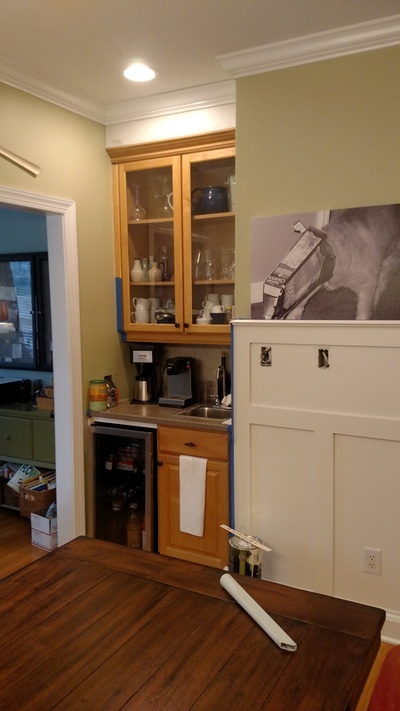 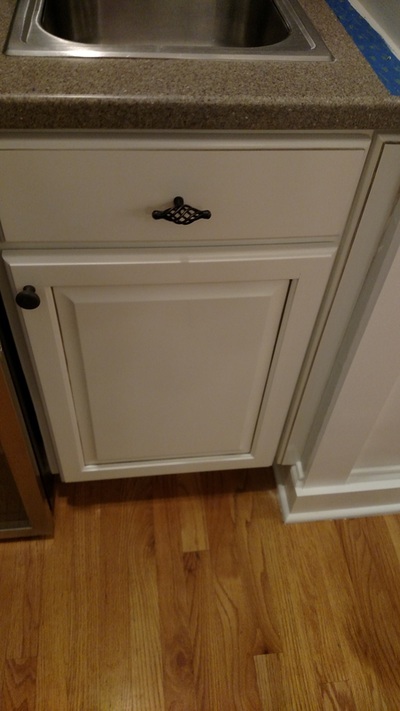 The client had our favorite contractor, Jim Ferrell, extend the cabinets and add trim. 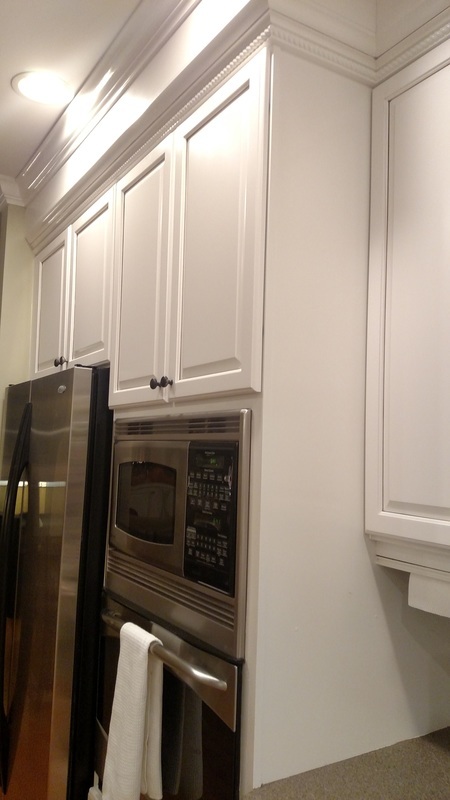 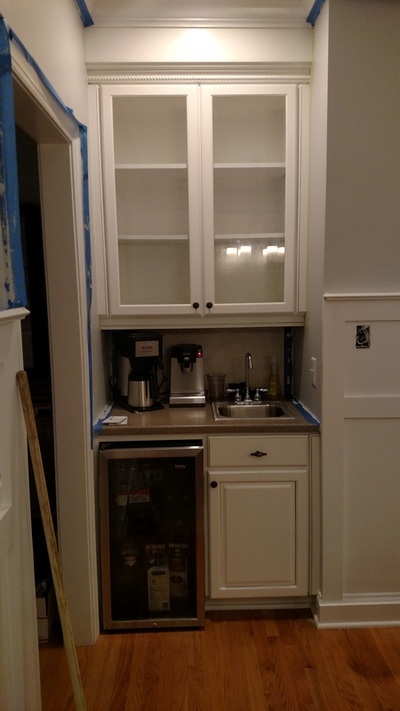 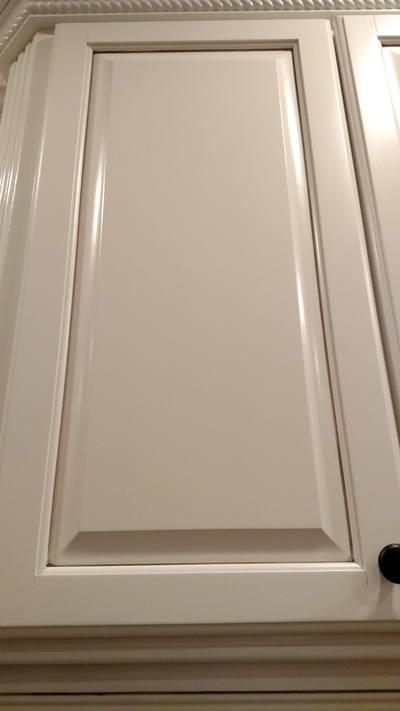 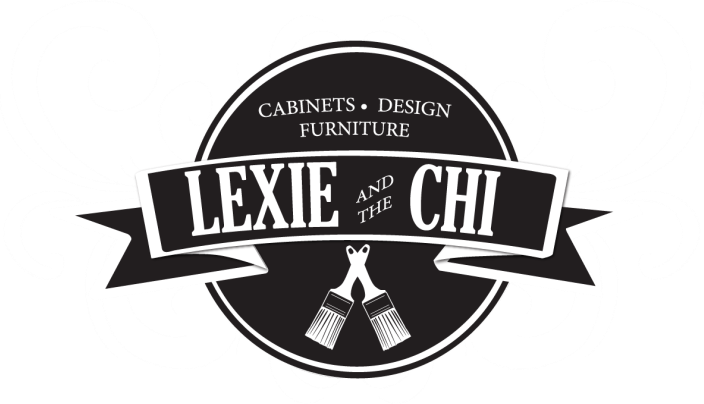 We painted the cabinets and trim in a classic off white and added a faint gray pinstripe glaze. This kitchen is now contemporary with a rustic charm.